I love salmon. Unbelievably it is currently half the price of chicken at my local supermarket, and since it is also quicker to cook we have been eating a lot more fish recently! First of all boil the kettle and then pour water over the couscous and cover (amounts according to the packet instructions). Heat a little oil in a pan and fry the chorizo. Once cooked, remove and add the salmon to the same pan, along with the tomatoes, and cook until done (this depends on the size of your salmon fillets, mine took 2-3mins per side). Meanwhile, steam the spinach, and if you like add a knob of butter. Add the olives to the fish to warm through. Add a knob of butter to the couscous and separate the grains with a fork. 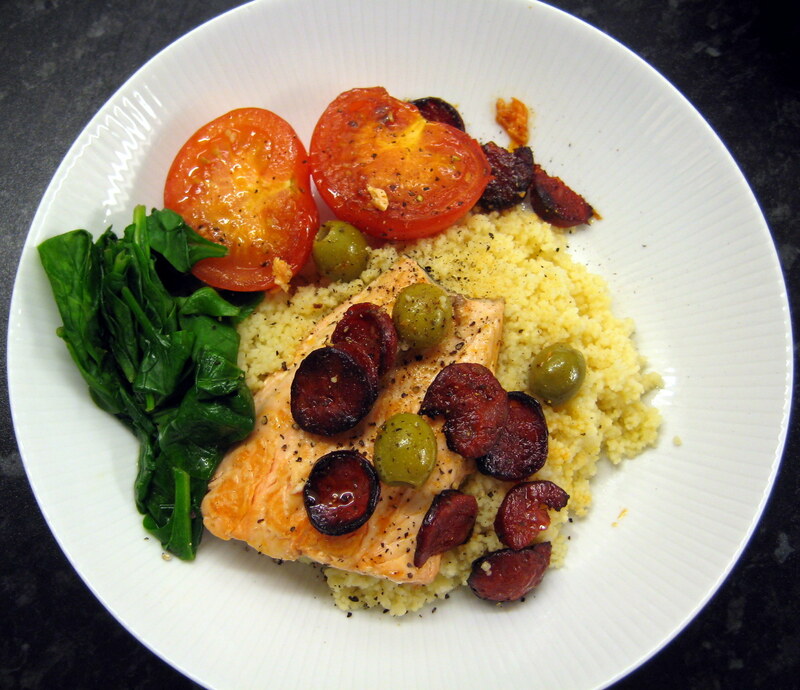 Serve the salmon on top of the couscous with a grind of black pepper, and the veg on the side. Tasty and ready in 10mins flat! Sometimes I add pine nuts and basil leaves to this, or serve with broccoli instead. 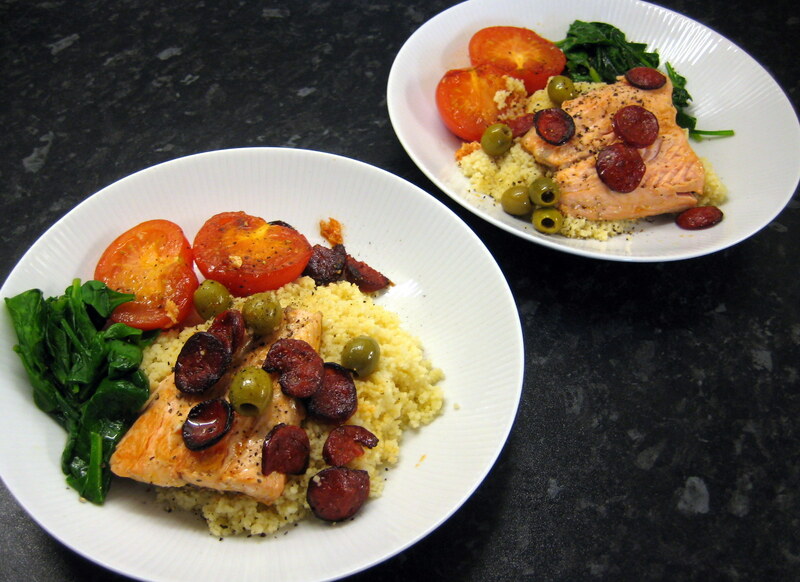 Also good – miss out the chorizo and stir some green pesto into the couscous. looks great – we’ll have this on holiday shall we!